Our friends in Tropixel have just announced their festival theme. In this edition, water will be the central theme of all the practical activities and scientific works . Projections regarding the availability, distribution and quality of water, a basic resource for life, are increasingly emerging in the global society since the models of production and allocation of resources are co-dependent on large amounts of resource, thus present serious conflicts involving the priority of its use. Discussions previously restricted to researchers and ecologists now resonate between different sectors of society. As in previous Tropixel festival editions, which took place in the states of Minas Gerais and São Paulo, will bring together Brazilian and international artists, scientists, activists and researchers. 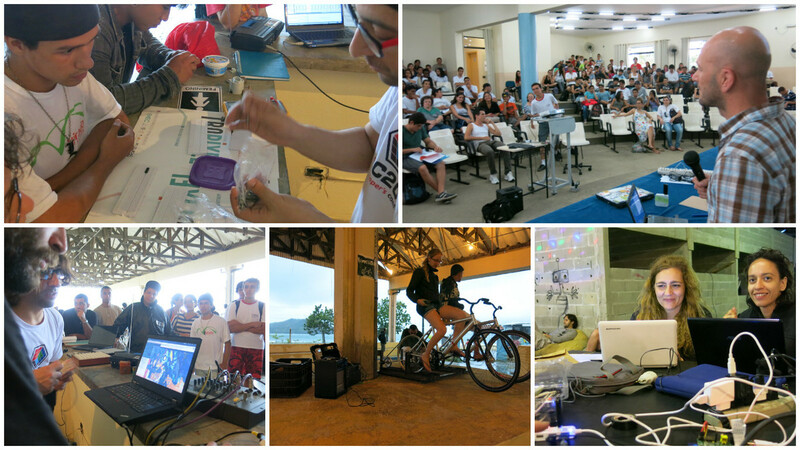 The Tropixel – Água Symposium will be held in Salvador, in Ondina campus of Federal University of Bahia (UFBA). In addition to the Academic Symposium, Tropixel – Água will held Ocupe Tropixel. The activity of Ocupe will happen as a TAZ (Temporary Autonomous Zone), where interventions will take place in squares, schools, public spaces and cultural centers. For this, we have an open public call. Tropixel Festival – Art, Science, Technology and Society is an innovative, trans-disciplinary and disruptive event, combining academic activities, development and knowledge sharing, and collaborative practical experience in urban environments. Thus, it is not a“festival” in the traditional format, it is the result of an ongoing work carried out by networks of experimental and collective diversified activists laboratories (agroecology, free software, tactical media, etc.) – seeking a fair, sustainable and inclusive future. Tropixel Festival is held since 2013 and it is the Brazilian partner of Pixaleache international network.